يحظى فندق شقق سانت إيفيز بمكان متميز في محور هوبارت مطاعم, ثقافة, سياحة في منطقة Hobart CBD الفاتنة. يقع مركز المدينة المثير على بعد 1 km فقط. يضفي محيط الفندق اللطيف وقربه من RebeccA's Studio Gallery, ‪Battery Point‬, جورجز سحراً خاصاً على هذا الفندق. إن الخدمات التي يقدمها شقق سانت إيفيز تضمن للنزلاء إقامة مريحة. هذه بعض الخدمات الموجودة في هذا الفندق: واي فاي مجاني في جميع الغرف, تسجيل وصول/خروج سريع, تخزين الأمتعة, واي فاي في المناطق العامة, صف السيارات. يمكن للنزلاء الاختيار من ضمن مجموعة من الغرف المصممة بعناية لتعكس جواً من الراحة، والتي يتجاوز عددها 43. إن حديقة هو المكان الأمثل في الفندق للاسترخاء وتفريغ طاقتك بعد نهار طويل. استمتع بخدمات لا يعلى عليها وعنوان ذو اعتبار في شقق سانت إيفيز . Location is OK, if u don’t have drive, can walk around 10 minutes to supermarket in left hand side, Pier and Salamanca Market just down to right within 10 minutes. We are 3 adults stay totally 5 nights in deluxe twin studio, sleep well. Nice small terrace and kitchen. Thank you so much for pretty reception, so nice. Travelled with wife and elderly parents. This was a very comfortable stay. Clean room with large bed, full kitchen facilities (stove, microwave and all the cooking equipment you need), safe walk-in showers. For a little bit of luxury, there was a balcony area (view was ok for my room), a dining area, couches and plenty of space in the room. There was a receptionist on duty, wifi access, free parking as well. 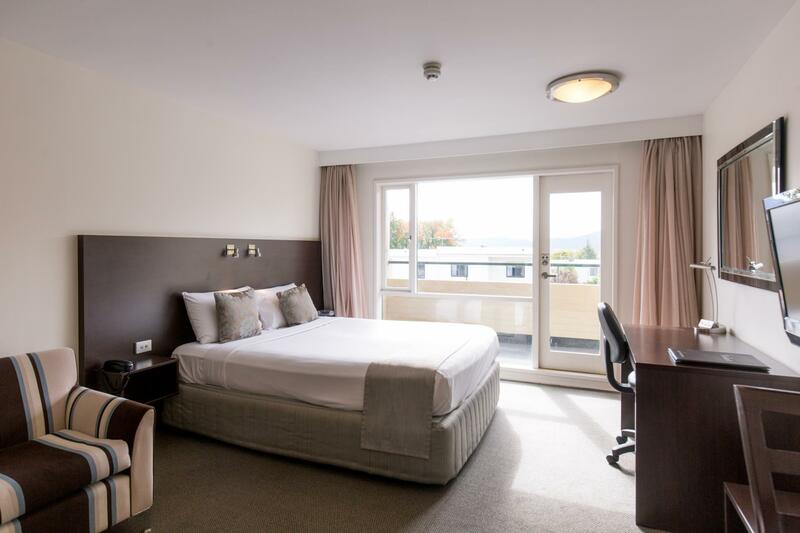 Location-wise, it is a short drive to most great places in Hobart city centre. There is really nothing to complain about. Old and rustic property, we wished it was cleaner. Definitely need a car to get about if you stay here- there’s enough parking bays within its conpound and it’s free. Room was basic but has only 1 bathroom for 2bedrooms 4 ppl stay and it’s rather inconvenient. We were looking for a stop after landing at Hobart Airport and before heading off to Bruny Island and this model was the perfect choice. For dinner, Elizabeth Pier would be the best choice, though parking spaces were a bit hard to find at peak hours. If it’s still bright after dinner, I recommend driving up to Mt Wellington to watch the sunset! The parking was a big factor when it comes to choosing a hotel in Australia. and this hotel has plenty of parking space. It was a walking distance form the city area so no need to drive down for dinners. Staffs are not in during the night and early hours so do take note of that. It was a pleasant stay. Close to Hobart CBD, the waterfront and Salamanca place. Located in the historic and beautiful Battery Point. The unit was large, well appointed, clean, with total privacy at street level. Location is great. Room is small and simple, but all we needed for two nights stay. Throughout our hobart trip, we are most satisfied with St Ives. The location is central and the facilities are well equipped. The room setting is nice and the house keeping daily are really up to standard. The bed is so soft and we doze off within 1 min. Not forgetting the toiletries, are all natural and the scent is so gentle. Will truly recommend to friends if they are travelling to hobart. Pros - very comfortable beds, great shower, very nice staff, free parking Cons - walls are very thin and all night I could hear someone else snoring and could ever everytime their phone vibrated. Heard people coming in late at night and on the street. Location is good if you don’t mind walking uphill. 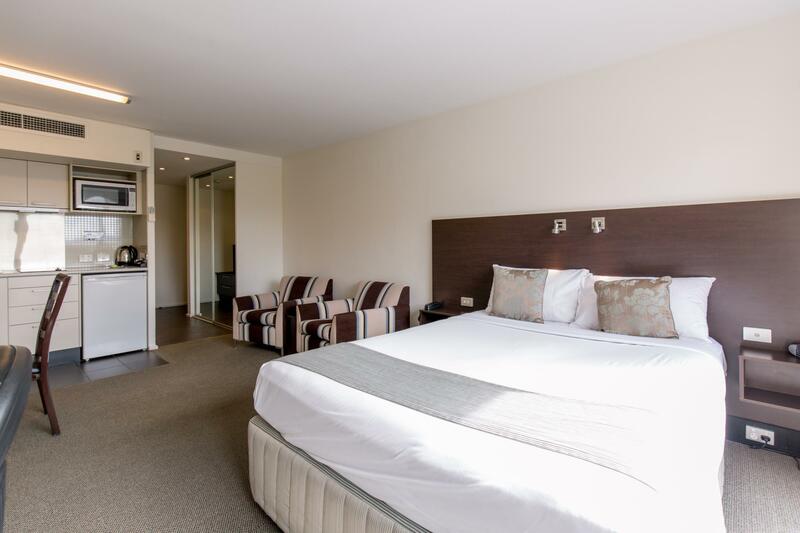 Can find hotels for same price in the CBD. St Ives Apartments is the perfect location close enough to be able to walk to Battery point, Salamanca and the city. An ideal location for both the business traveller and the tourist. 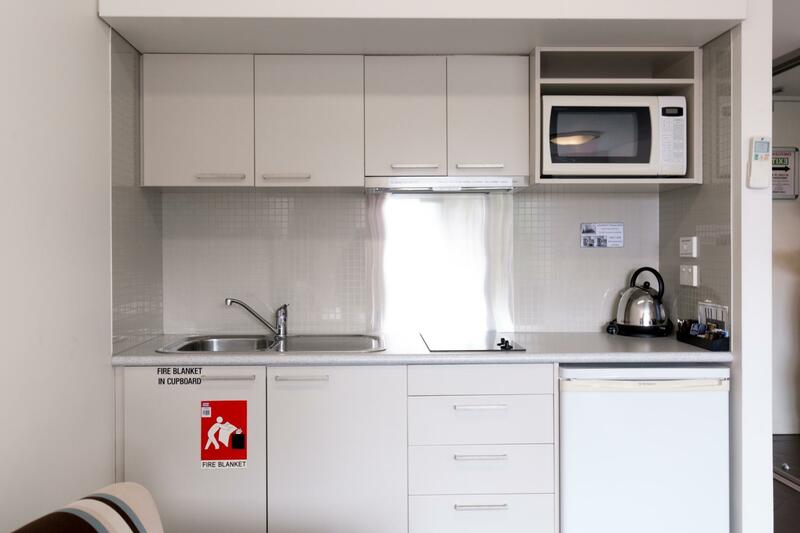 Clean, basic service apartment in a convenient location. Entrance may be a bit confusing to find but look out for the motel parking sign on St George's Terrace. About 10 min walk to Salamanca place and only 25 min to Elizabeth St Wharf and half hour walk to the city. Would stay again. A bit of a walk with younger children, but the neighbourhood itself is very pleasant. 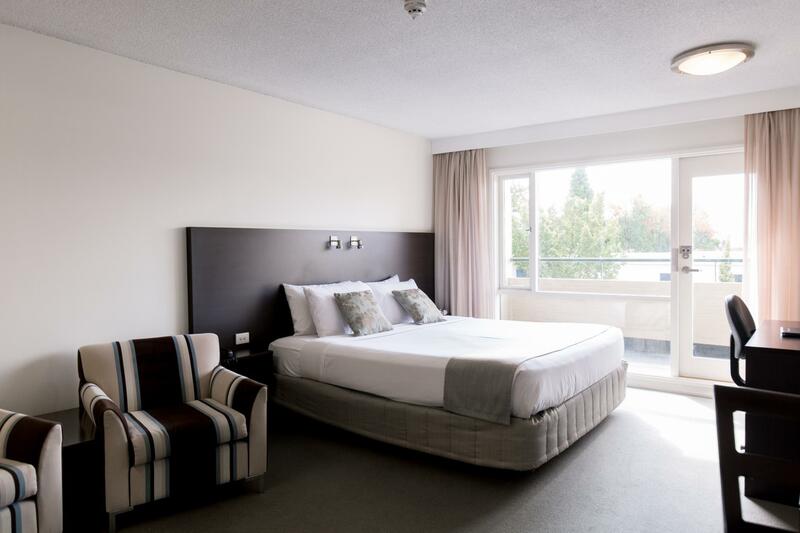 Fantastic hotel that is literally a 5 min walk to Salamanca Markets and city centre. Surrounded by endless restaurants and bars. The location is perfect. Room is large & very clean with comfortable beds. We had a great stay at the St Ives Apartments. Rooms are spacious and bedding is comfortable. A small and well equipped kitchen provided us opportunities to cook our great breakfast. Staff was friendly and helpful. I will recommend this hotel to all my friends. Good location. About 10 minutes walk to city center. Free parking. Great Room facilities with kitchen. This had everything I was looking for, modern, clean and close to the CBD. Summer in the city - Xmessily cold on Mt Wellington - the right precursor to the festive season. 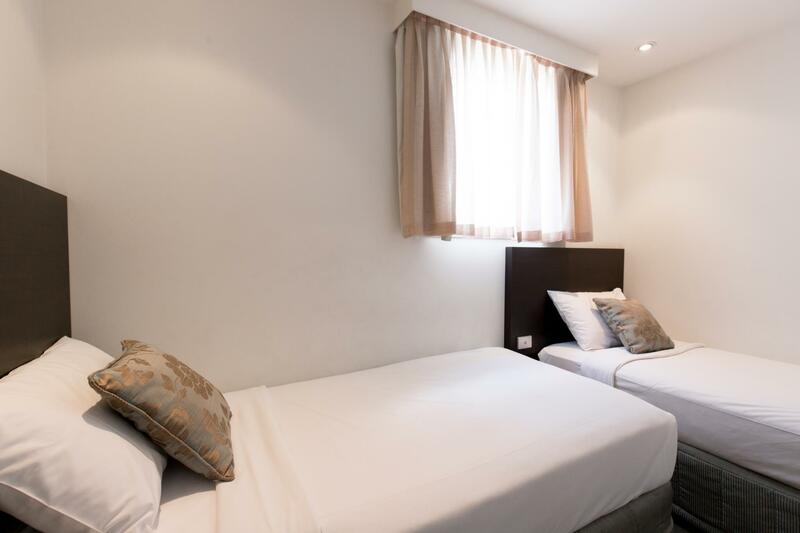 Nice, quiet, comfortable room, close to the city centre.